The Department of Biotechnology offers both master's and doctoral programmes. The department is committed to the furtherance of the scientific enterprise through the establishment of a vigorous research programme, and to contribute to post-graduate level academic programmes to cater to national requirements in basic science as well as agricultural and environmental applications. The M.Sc. 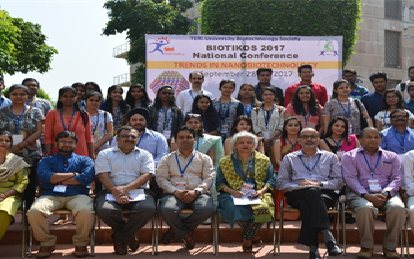 programme in Plant Biotechnology was initiated with funding from the Department of Biotechnology, Government of India. Students opting for the master's or doctoral programme can expect an academically rigorous and interdisciplinary environment and significant emphasis on laboratory work, emphasizing original, creative thinking and research. 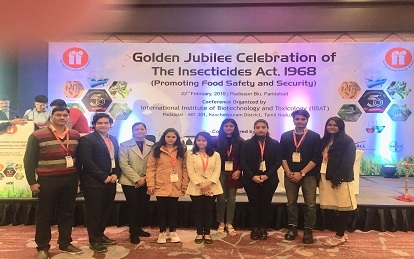 Doctoral students may also choose to carry out their research in the laboratories of our parent organization TERI (www.teriin.org), in fields as varied as microbial biotechnology, mycorrizhal biology, environmental bioremediation, plant tissue culture and biofuels, to name a few. Vision: To foster excellence in research and training in the basic and applied aspects of the life sciences, contributing to academic and industrial requirements. Mission: The department is committed to the furtherance of research and education in basic and applied sciences, contributing to the goal of sustainable development. Dr Chaithanya Madhurantakam HoD and Associate Professor "Chaithanya Madhurantakam is a structural biologist and a protein biochemist. 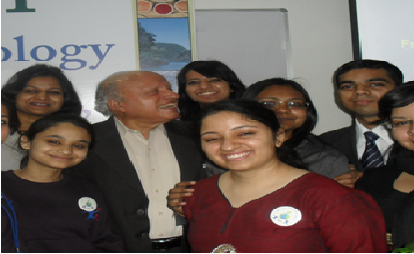 He has a Doctoral degree in Biotechnology from the Department of Biotechnology, Indian Institute of Technology (IIT), Kharagpur, India. His research work focuses on structural characterization of proteins through X-ray crystallography. 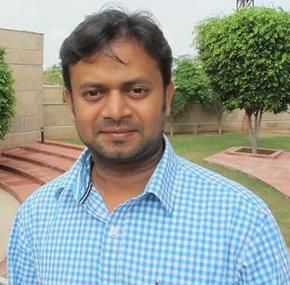 His research work over a period of 15 years include around 7 years of post- doctoral experience."